Booty breath? You’re in luck! Nothing’s worse than realizing you’re about to sit down for a close conversation and your breath is as pleasant as a barnyard. Don’t worry! Pop a few tasty Bunny Booty Breath Mints, and you’ll instantly go from caca to confident! 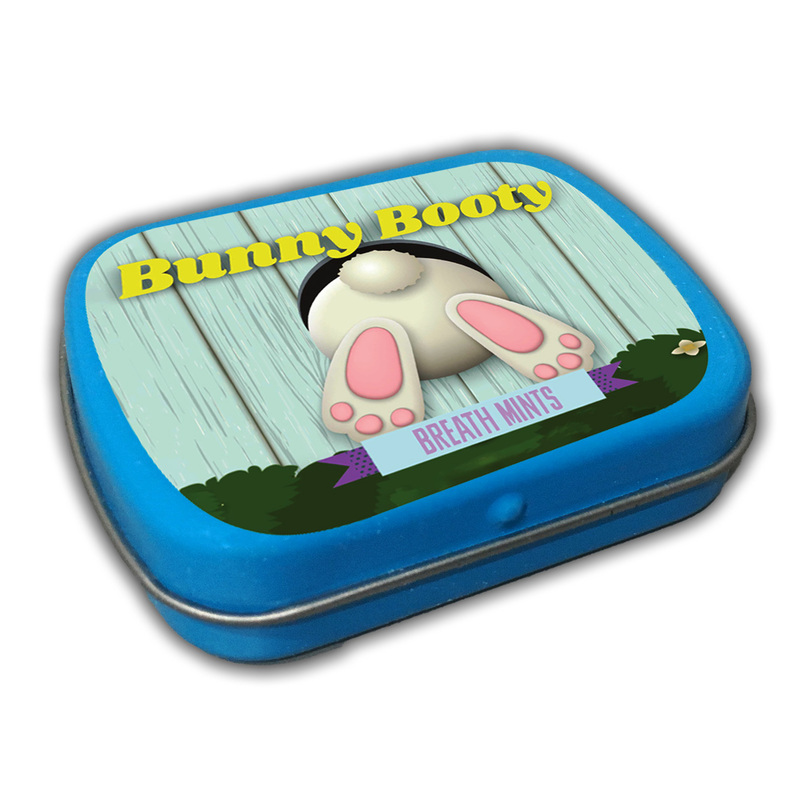 A collectible tin of Bunny Booty Breath Mints is a cute gift for any situation. 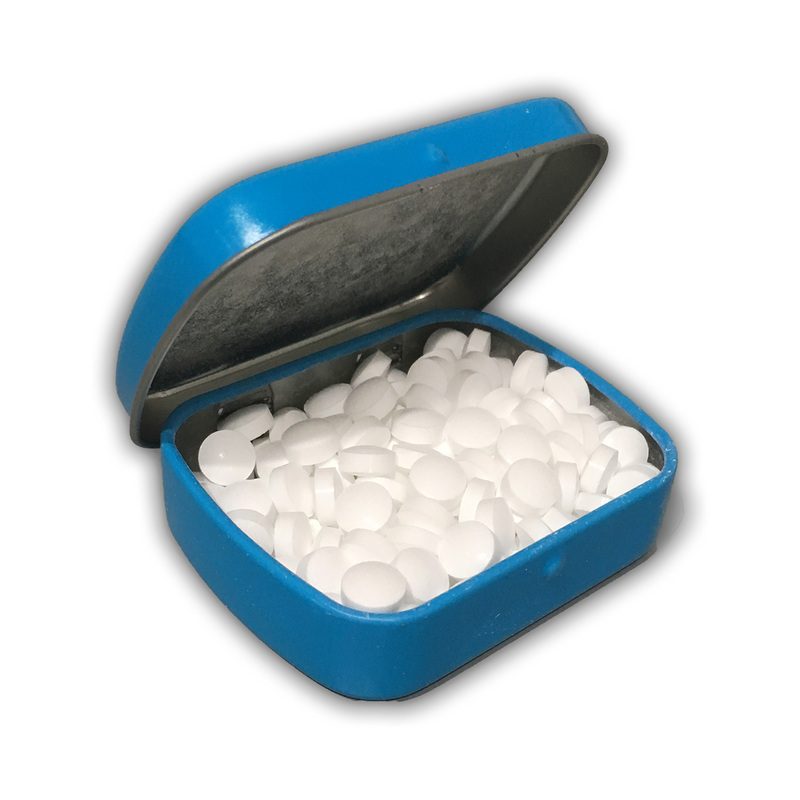 These delicious peppermint mints are both a silly gag gift and flavorful breath freshener, which is fun combination for any occasion. 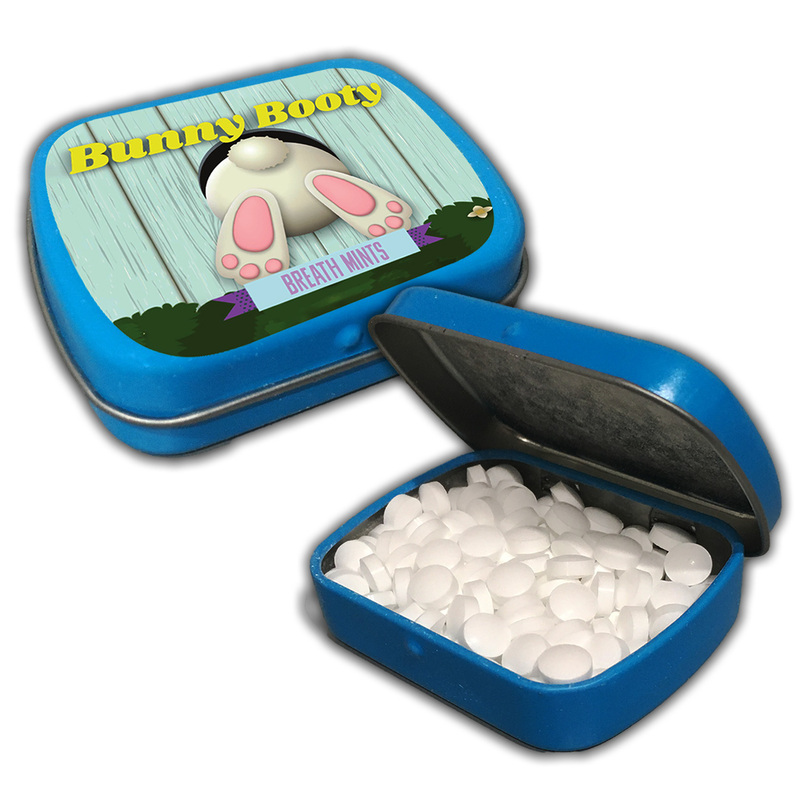 Bunny Booty Mints are a fun gift for special friends and family. 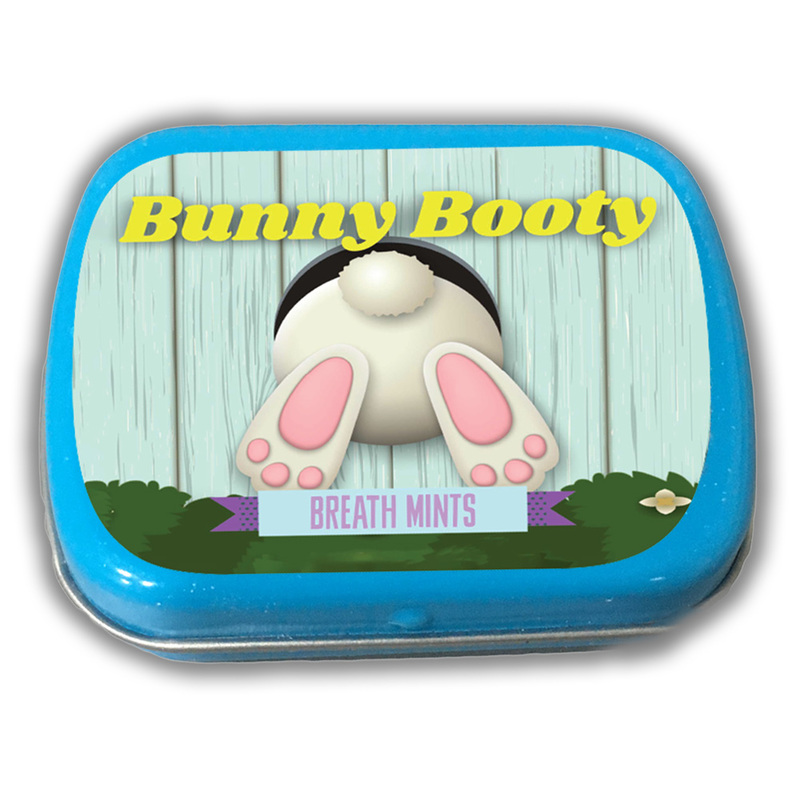 Filled with peppermint breath mints, this cute gag gift for men, women, and children is a silly stocking stuffer or addition to birthday gift bags, Easter baskets, care packages, or Valentine’s Gifts for anyone on your gift list. They’re also a weirdly fantastic unisex choice for White Elephant parties or Secret Santa gift exchanges.